Middle Eastern Cooking | My Cooking Diaries "CooklikeCecilia.com"
The Middle East namely Kuwait has been my residence for the past 33 years and it is only natural that we are greatly influenced by middle eastern cooking, favorites being Kababs, Shawarmas, Falafel, Hummus, Tabbouleh, Moutabel Baba Ghannouj, Machboos Leham, and the daily favorite Khubz which we now cannot do without so much so that we even carry few with us on our visits home. 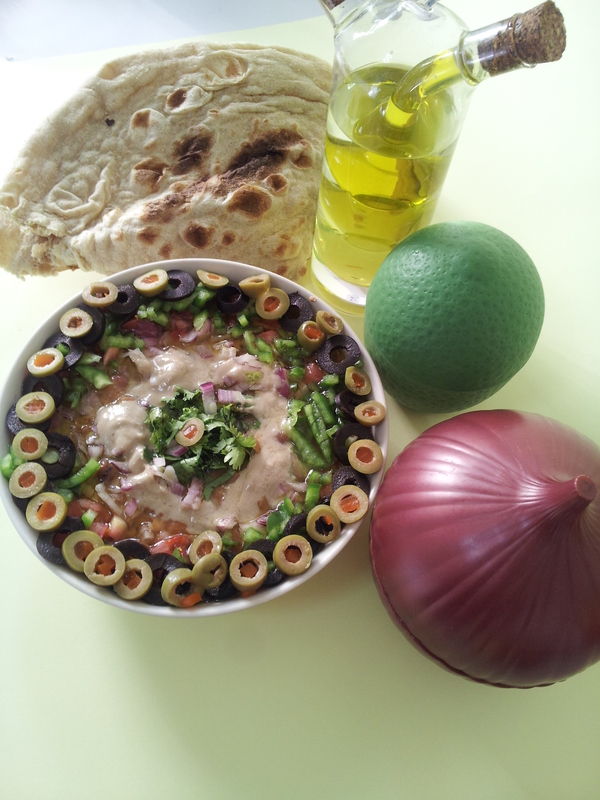 Ful Medames is a traditional middle eastern breakfast, and is very common in Egypt. it is also a popular dish due to it’s low cost. Saute the onion in 1 tsp. oil till tender, remove from heat. Add the fava beans along with the jucies to the onion. Take a pestle or potato masher and mash the fava beans roughly. Leave a few whole. Add salt, ground cumin and cayenne pepper/chillie powder and squeeze the lemon juice over it. Mix well. Pour the olive oil over and heat on low flame till it starts to just boil. Remove from fire and spoon into individual bowls and drizzle some olive oil over it. Eat with pita bread. Garnish may be added if desired, namely, chopped olives, capsicum, tomatoes, parsley or coriander leaves with a drizzle of tahina. Want to make your Ful Madames recipe but could not find the Fava Beans in the groceries shop I visited. I hope I locate it in a super market. Hi Theo, yes canned Fava beans can be difficult to find at times….meanwhile Red kidney beans should work as a good substitute.